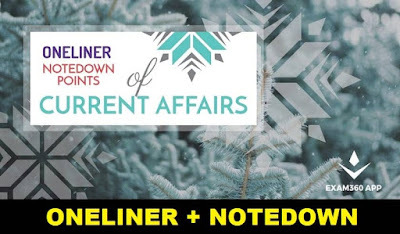 One Liner GK Current Affairs - 10th May 2018 have a list of important News headlines based on the Latest Current Affairs Updates. These are important for the upcoming examinations of IBPS PO, IBPS CLERK, SSC CGL, SSC CHSL and other similar examinations. These are vital and aspirants should go through them in details. Along with this aspirants should also go through the Daily Current Affairs Quiz to test their level of preparation in the examination. Prime Minister Narendra Modi ranked 9th among 75 most powerful globally in Forbes list. Xi Jinping tops the list. Union Minister Ravi Shankar Prasad yesterday launched the website of Digital India Internship Scheme in New Delhi.